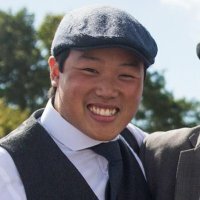 If you’re into motorsport, there’s a chance that you enjoy a good one-make series—spec-racing, Challenges, Cups, that type of thing. 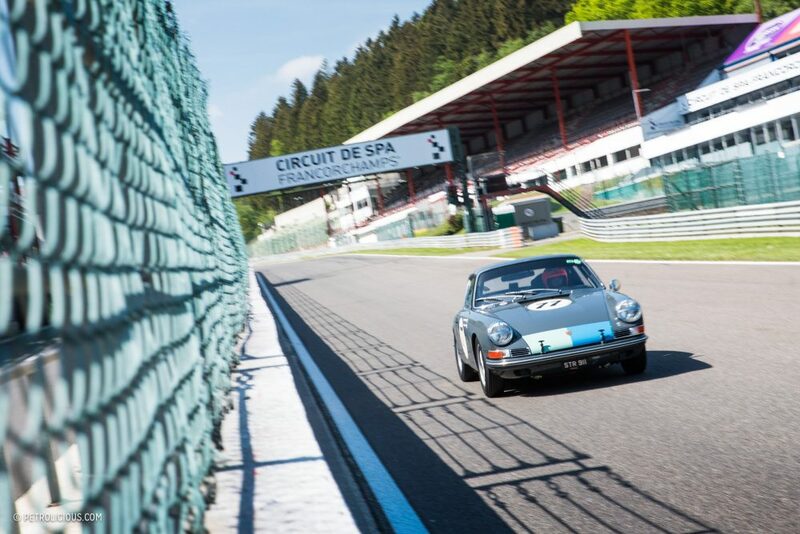 Whether it be celebrities bumbling around in Mini Coopers, professional drivers in Jaguar XJR-15s or BMW M1 ProCars, these more or less mechanically even fields of racing almost always guarantee purity and door-banging action where the biggest variables are the drivers and their talents. 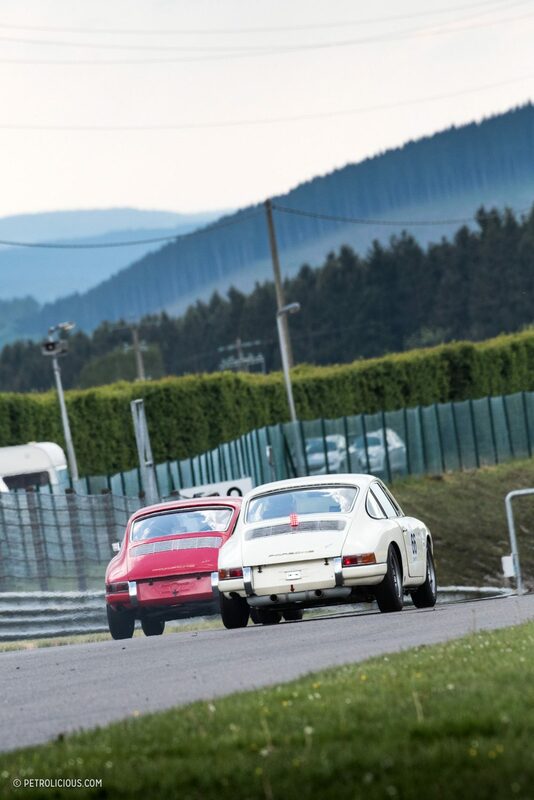 A few decades ago the rear grid of Le Mans was more or less a Porsche cup series of its own, but while that’s changed they’ve still enjoyed a long history of spec racing. 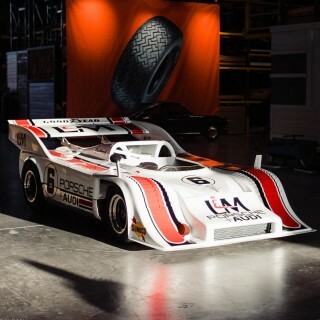 This year Porsche celebrates its 70th anniversary, and the company is currently boasting over 20 different sanctioned one-make series across five continents that involve some of the most talented drivers in the world in modern GT cars. 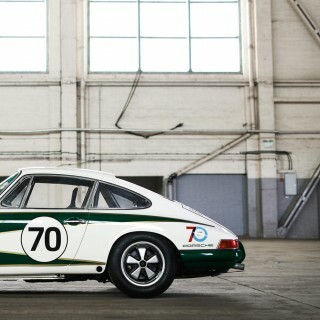 Enter the world’s newest Porsche-only series, devoid of big wings and GT and RSR badges. 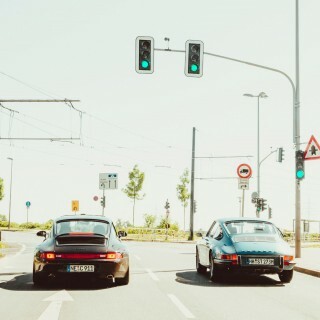 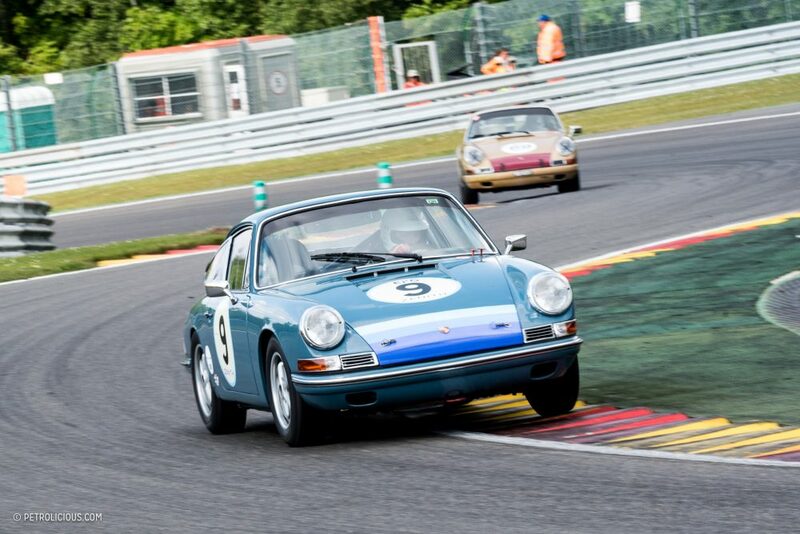 Dedicated to the iconic original short-wheelbase 911s and the 2.0L flat-sixes that power them, Peter Auto’s newest series, called the 2.0L Cup, is not the first vintage car spec series out there, but it is certainly one of the prettiest and hippest we can think of. 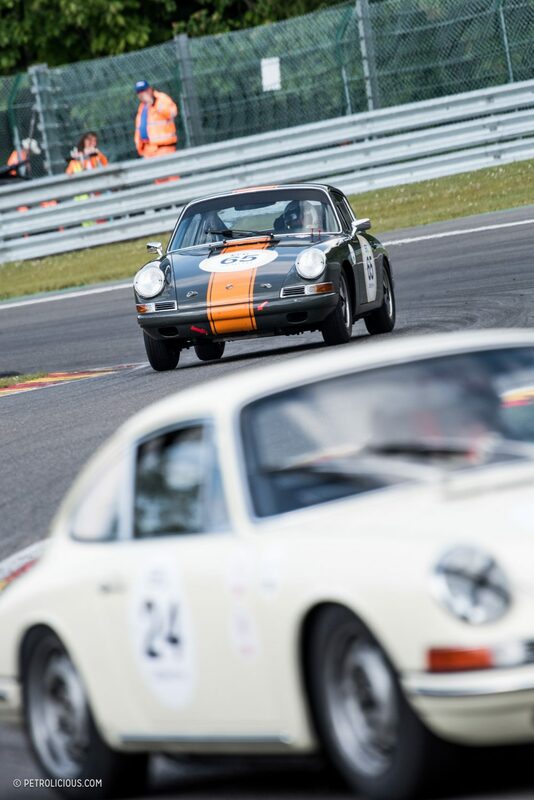 Although not officially supported by Porsche (though they must love its existence), the 2.0L Cup has backing from some of Britain’s leading Porsche specialists including Historika, Maxted Page, Sports Purpose, and Tuthill Porsche. 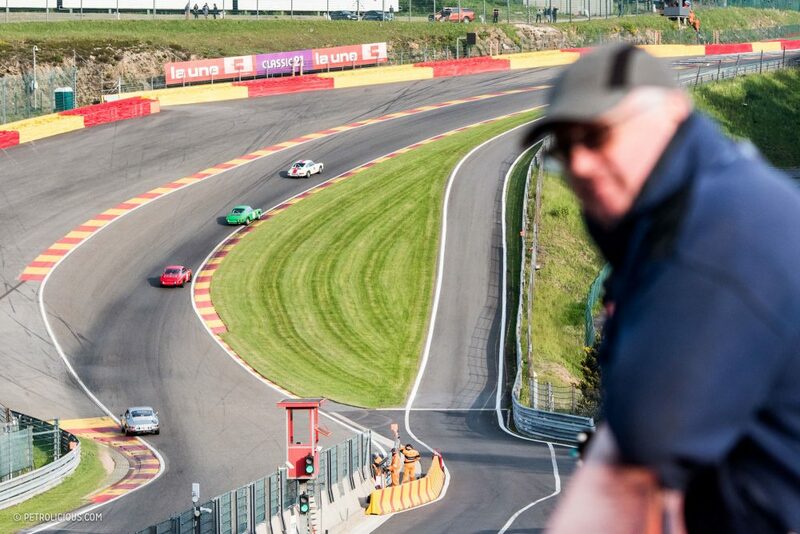 It’s a series that seems like it should have already existed, and it’s certainly creating a stir already, with plans to visit three European circuits this season: Spa (the content you see here), Dijon, and Paul Ricard. 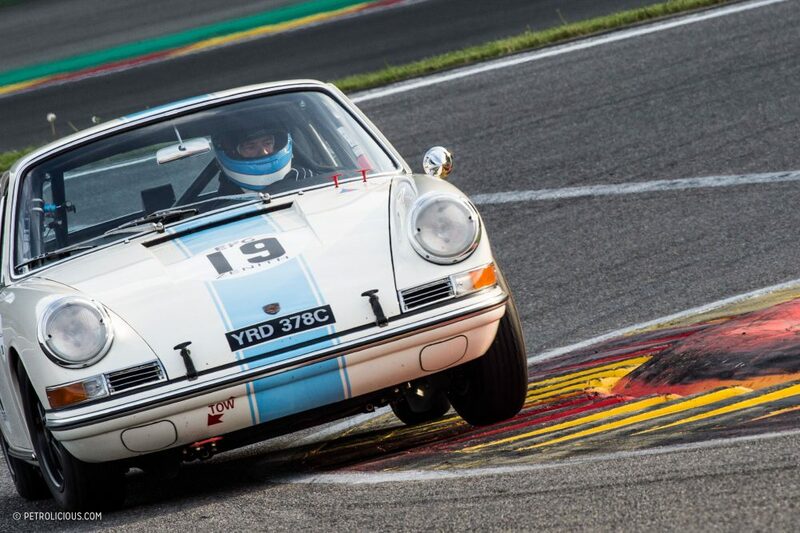 With all the competing cars needing to be built in compliance with the FIA’s pre-’66 regulations, the strict guidelines of a one-make series create an interesting framework (much like their modern counterparts) that encourages teams and drivers to focus on fine tuning their cars and driving techniques for performance gains rather than turning to the checkbooks to gain mechanical advantage beyond tweaking and optimizing what you have to work with in front of you. 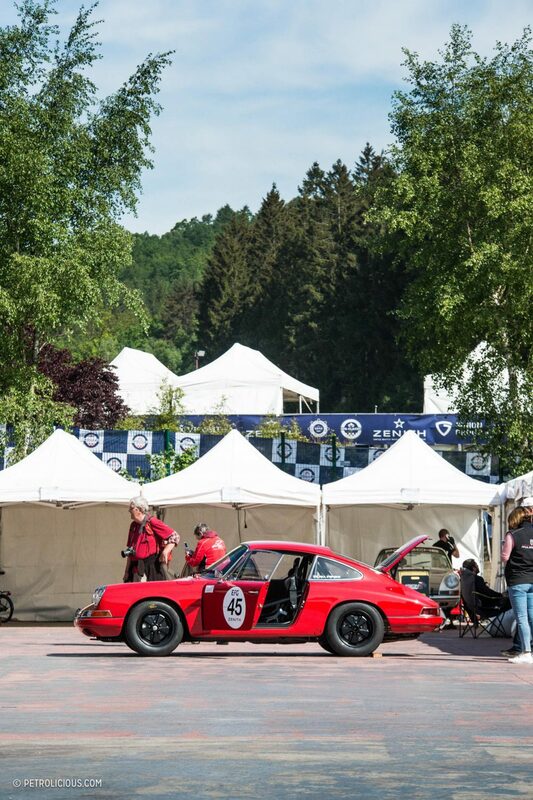 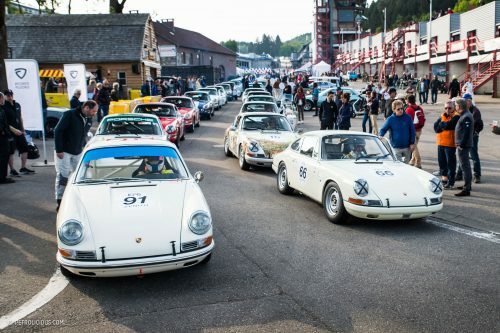 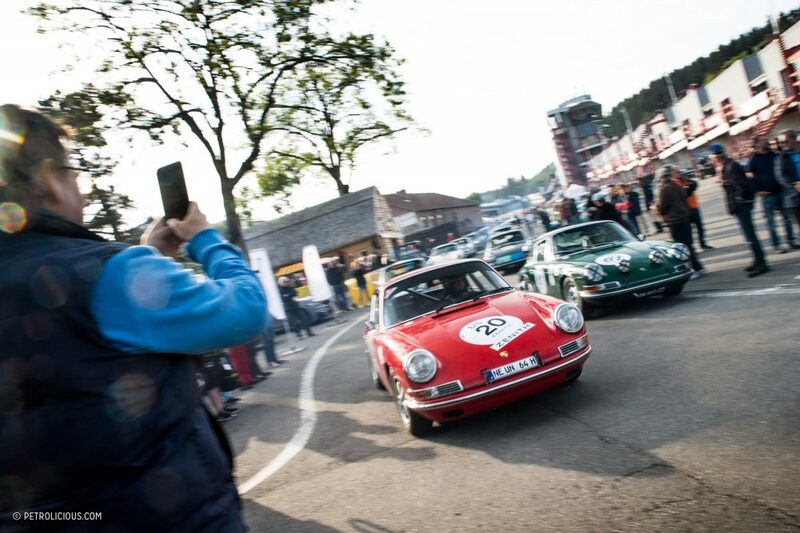 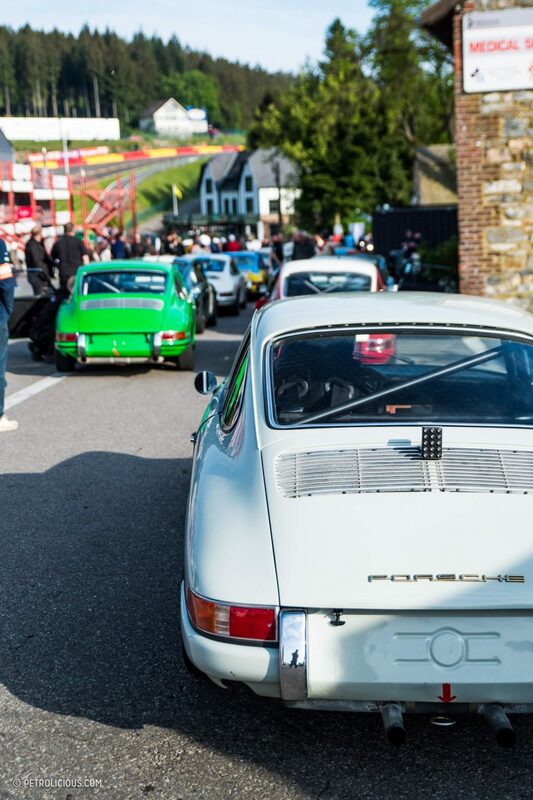 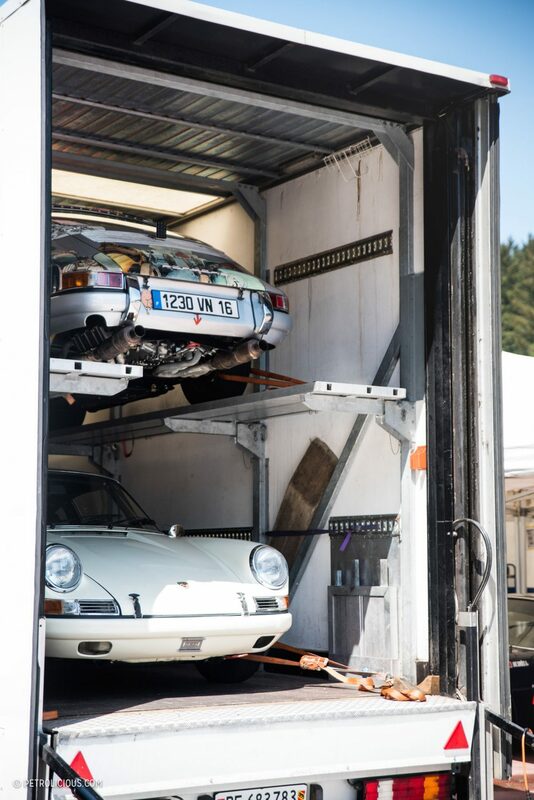 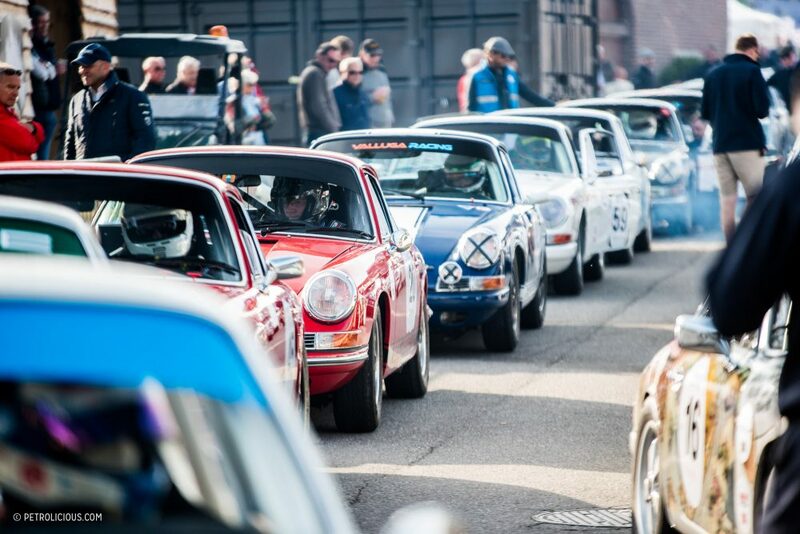 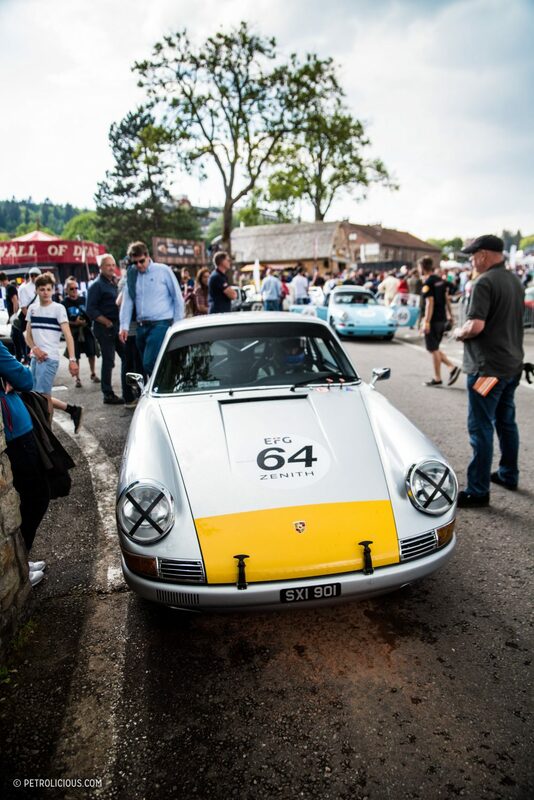 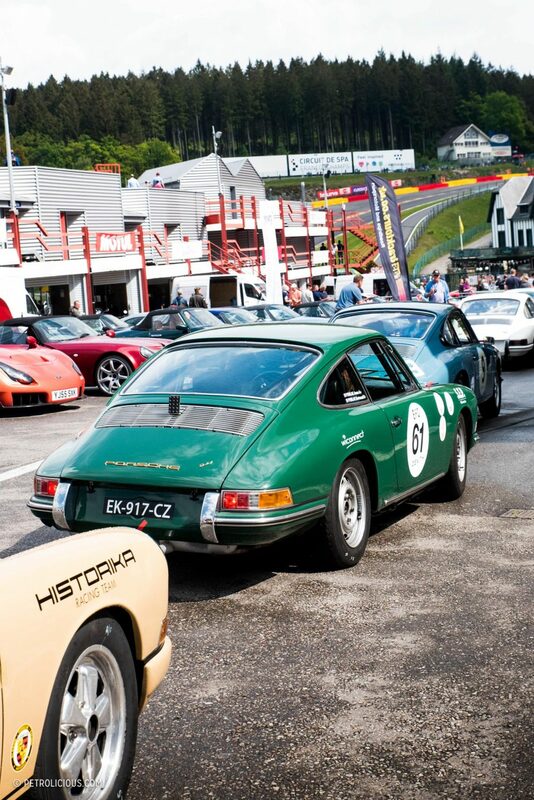 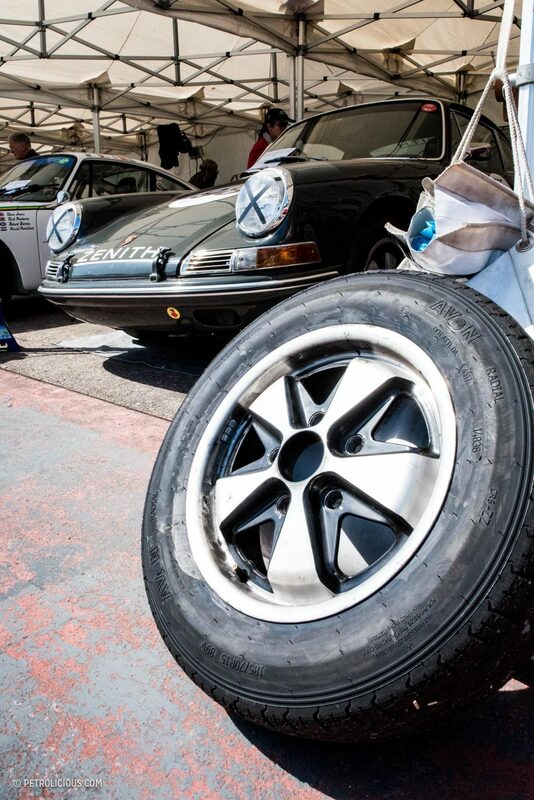 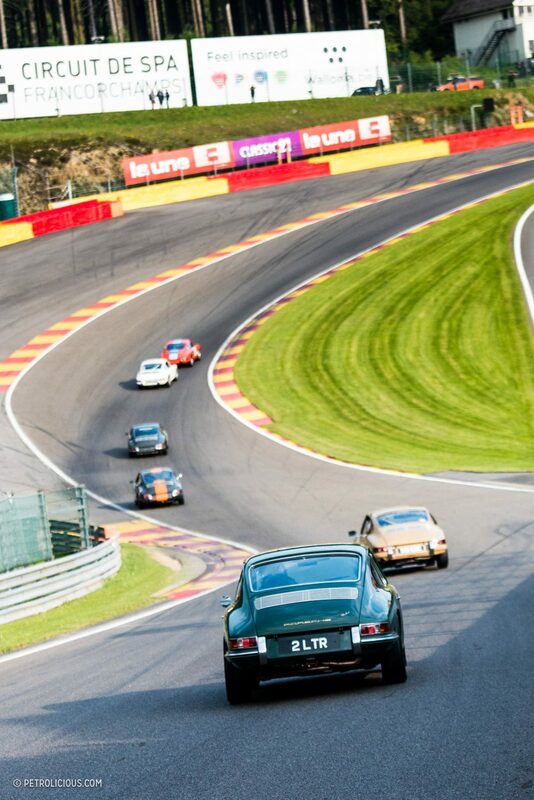 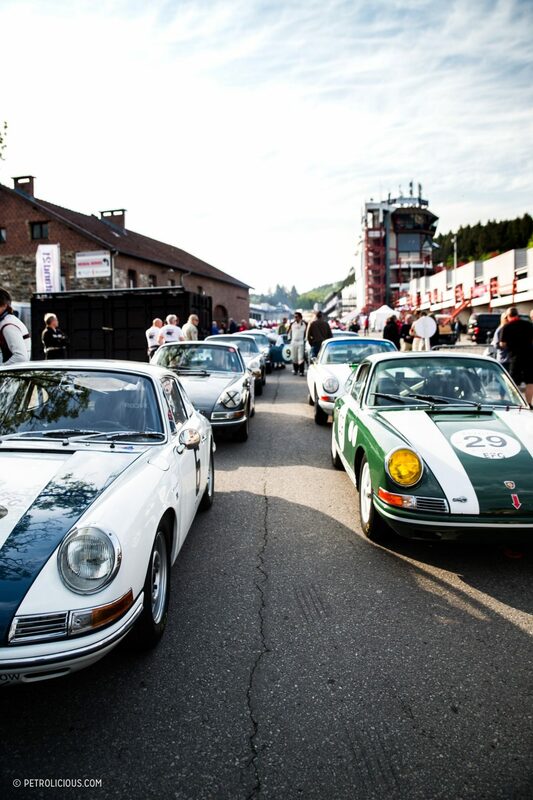 At the inaugural race at this year’s Spa Classic, with a full turnout of forty cars (including Porsche UK’s own restored “Project 70” anniversary car in the hands of touring car legend Anthony Reid), the quest for more performance that had taken place since the series was announced finally came to a head. 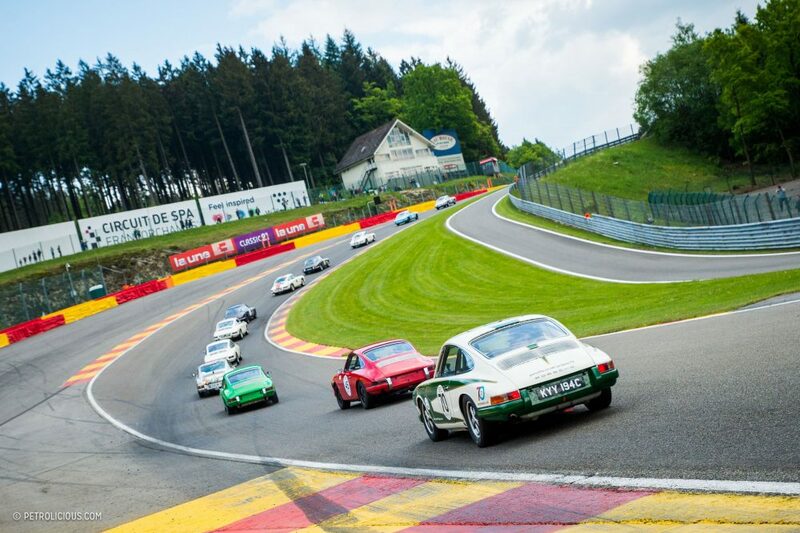 As the grid of flat-sixes set off, they made for a formidable sight as the storm of narrow-body 911s charged their way down towards Eau Rouge before making the climb up Raidillon and toward the dark clouds looming in the distance. 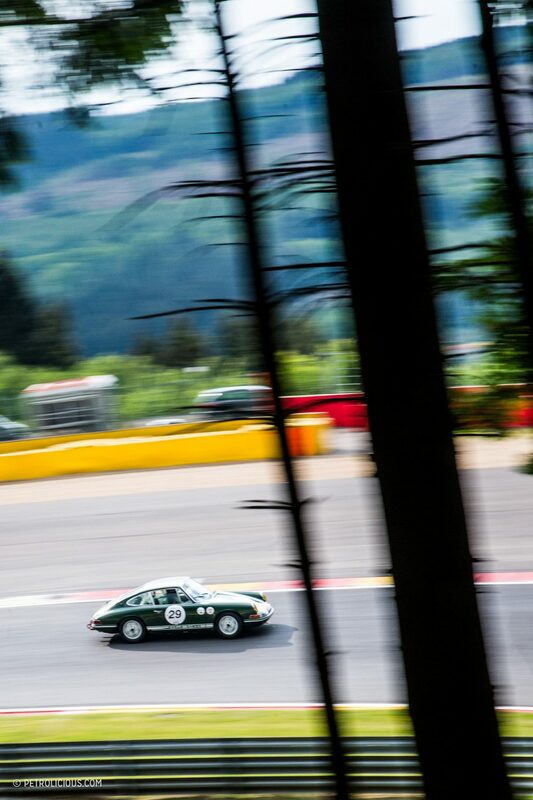 Braking hard at the end of the Kemmel Straight, they entered Les Combes side by side with visible demonstrations of rear-engine weight shifting to the front tires, dipping their noses as they looked for the inside line. 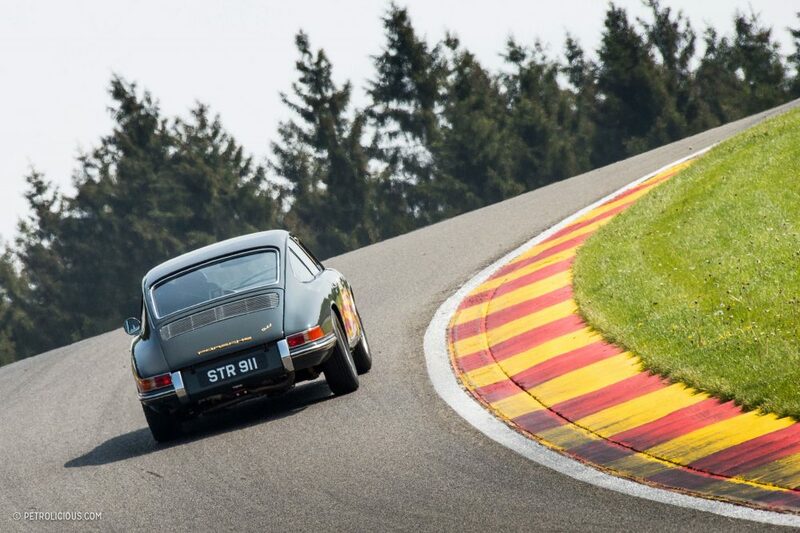 Balancing on the limits of skinny-tire traction through the quick right-left-right sequence, the valley was filled with the sounds of late-braking and counter-steering rubber. 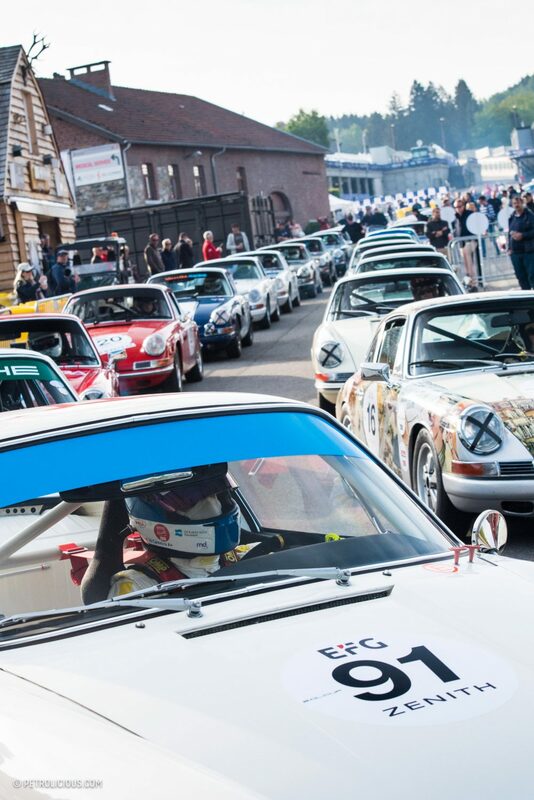 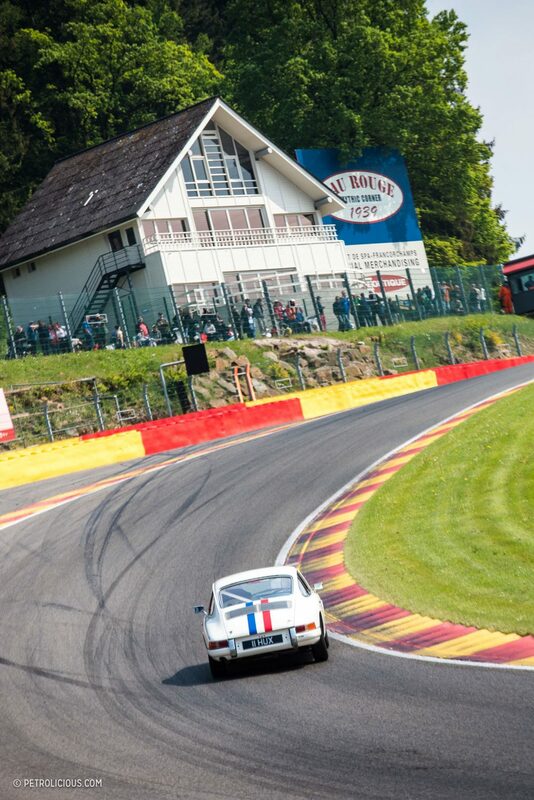 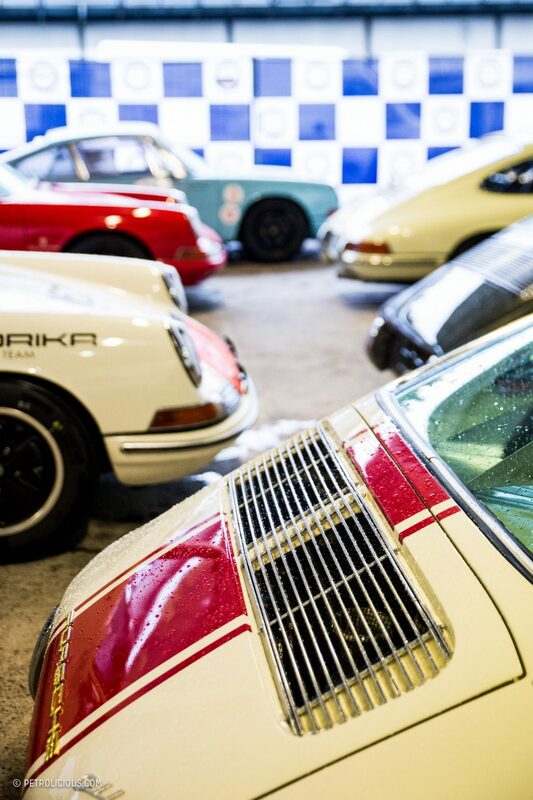 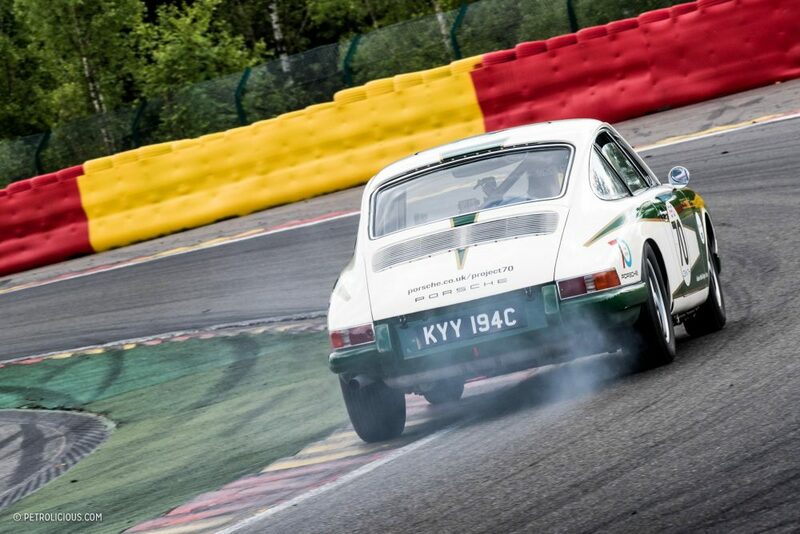 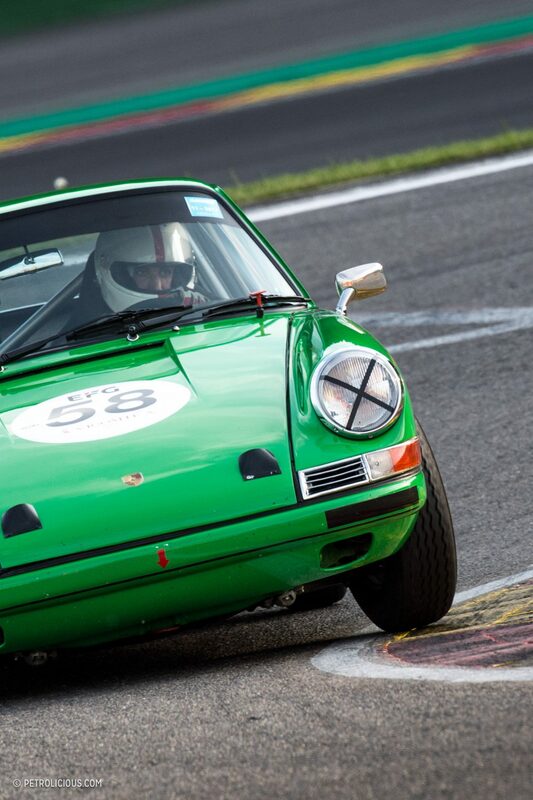 Spa Francorchamps had been invaded by a mesmerizing army of dancing 911s. 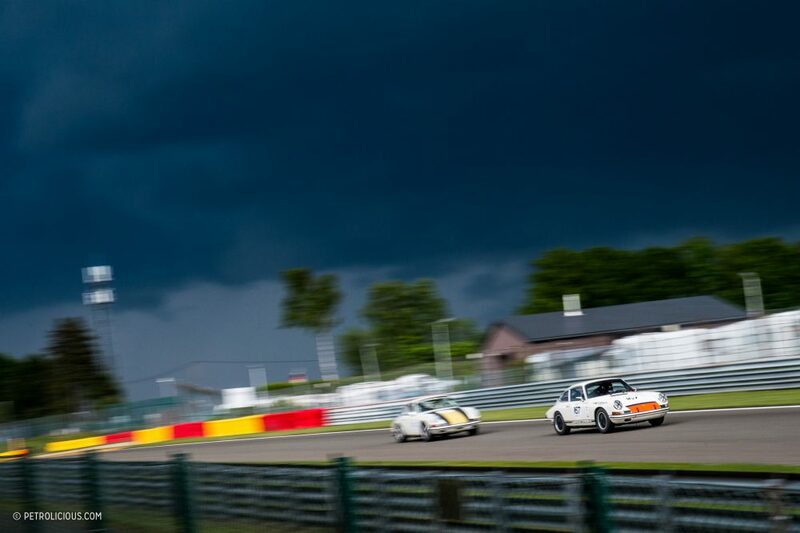 With battles unfolding throughout the Ardennes forest for 75 minutes into the scheduled 90 minute race, the top three runners were separated by over a minute (a testament to the skills of the drivers) as the dark clouds that had been looming in the distance and had been previously missing for the entire weekend finally dropped their payloads on Spa in force. 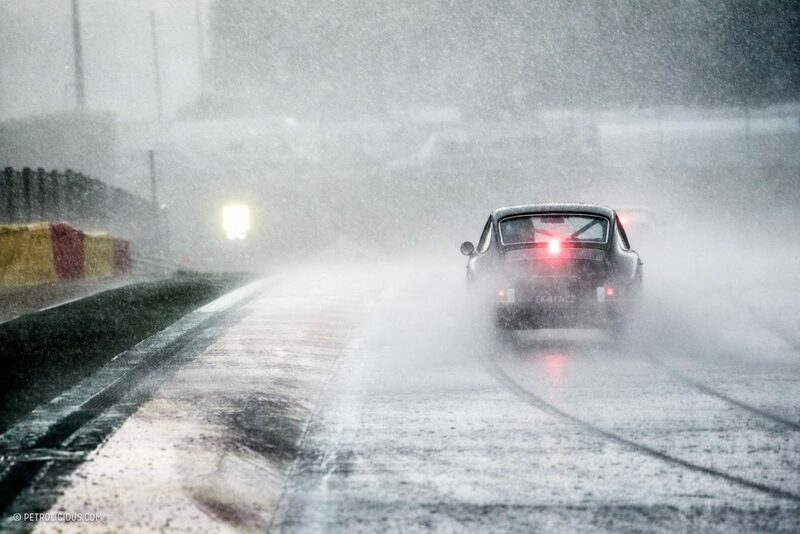 An unforgettable sight followed as the cars splashed through the standing water, but soon enough the race was brought to a halt as the circuit was more or less flooded, drenched from top to bottom as a flurry of hailstones accompanied the torrents of rain. 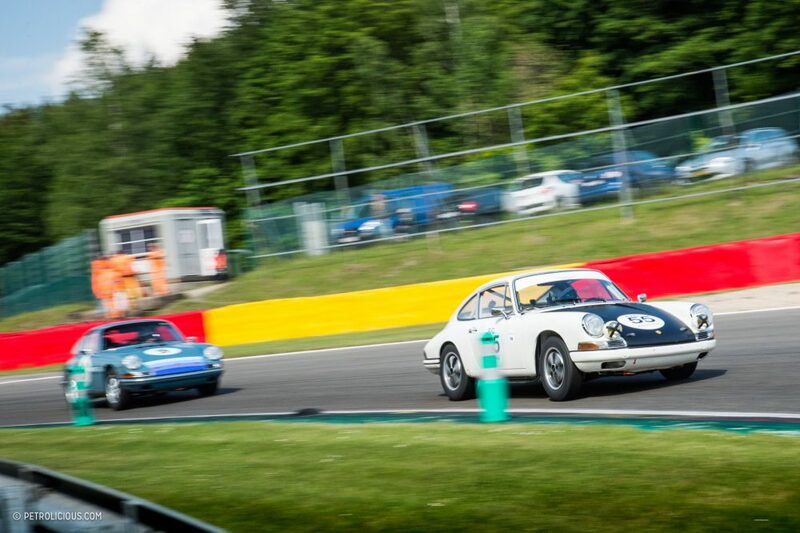 Despite an unexpected end to the inaugural race, in 75 minutes, the 2.0L Cup managed to deliver an entertaining, action-packed spectacle that only a one-make series can bring. 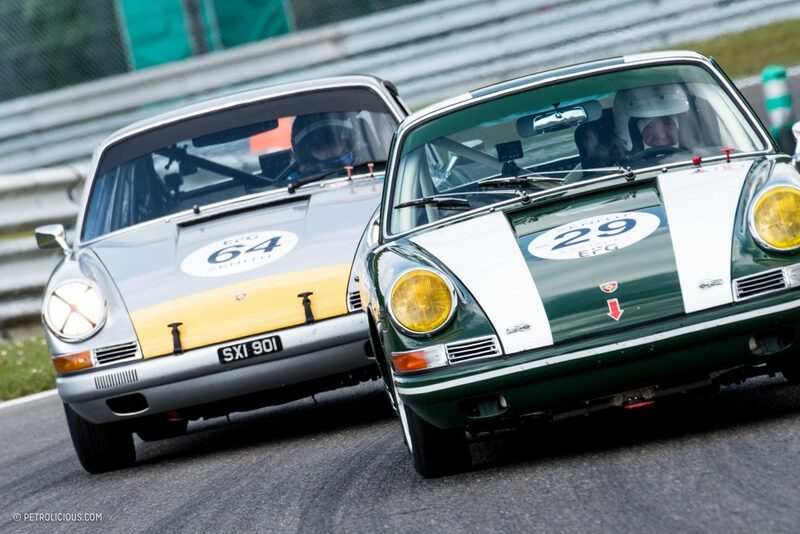 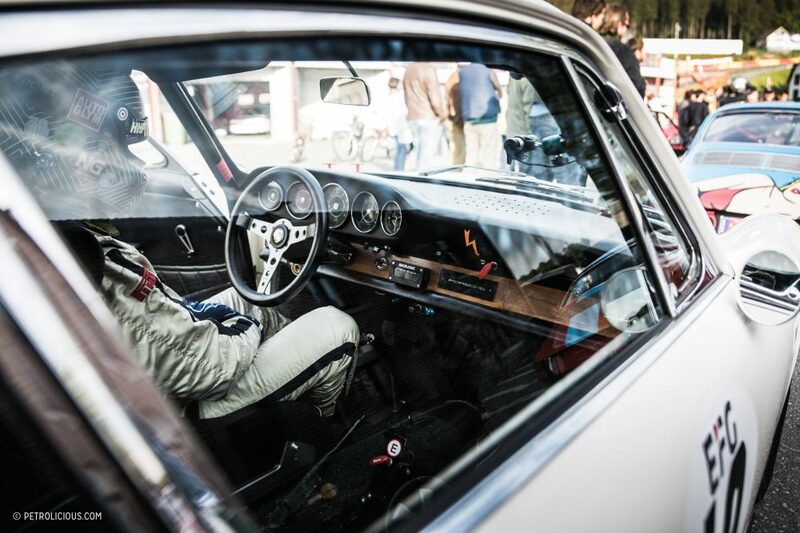 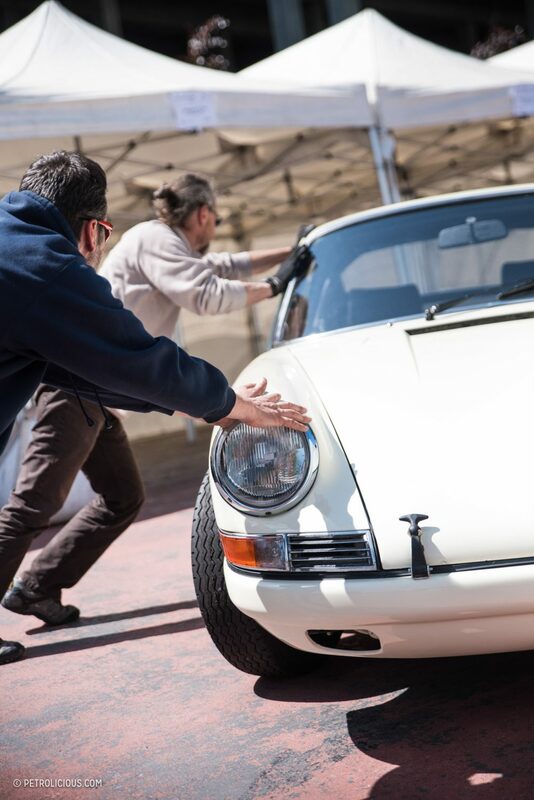 Although many would prefer the intimidating looks of later and more aggressive classic Porsches such as the 911 RSR or 935s that were parked in the pits, the original 911 retains a very special charm that the others simply leave behind with the cut-up fenders and addition of hundreds more horsepower. 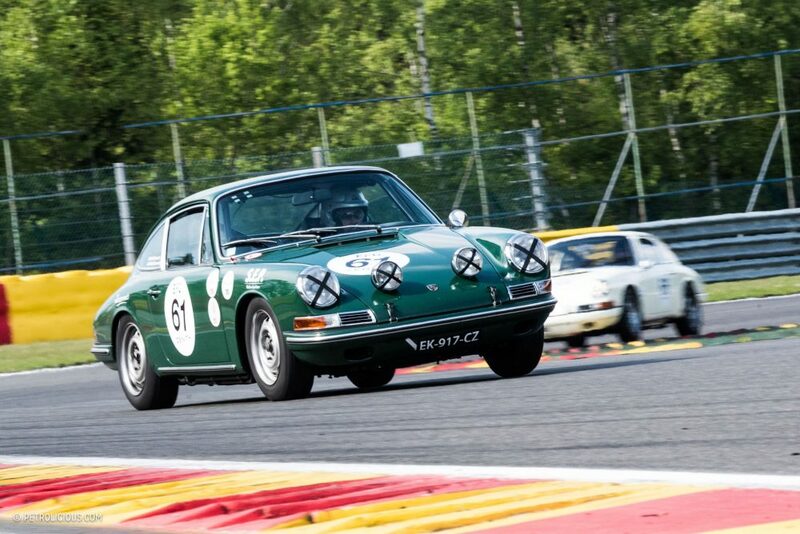 With it’s softer design details, watching these early short-wheelbase cars attacking corners is a terrific sight as their drivers fight for control with the rear wheels dangling above the curbs. 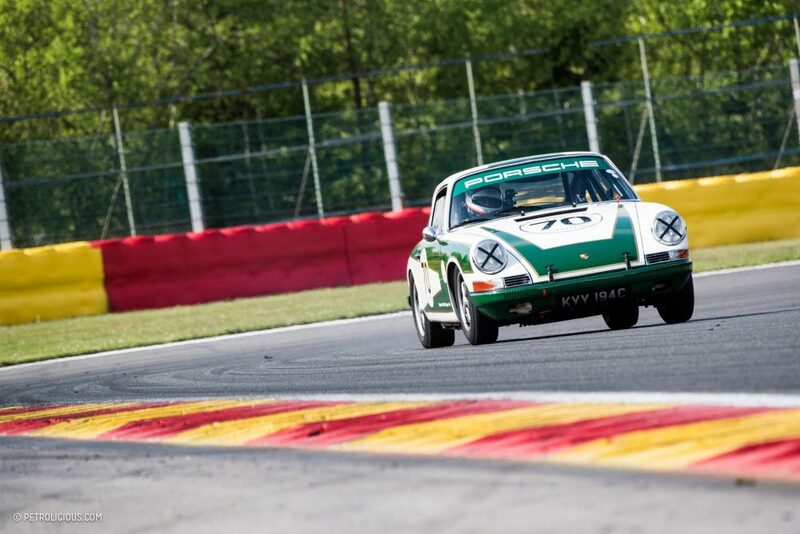 With two more rounds left to watch this season, I’d highly recommend a visit if you can find yourself at Dijon or Paul Ricard. 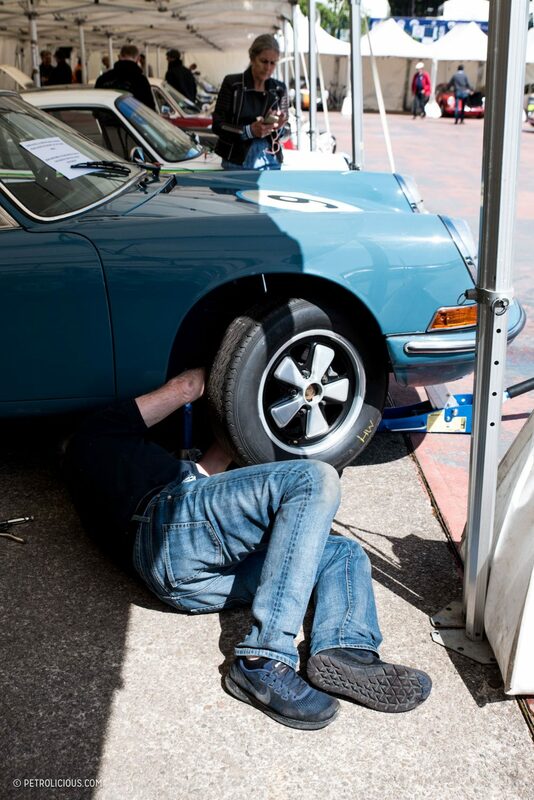 My brother was a Porsche racing car technician in the southwest and rebuilt a 1966 911S. 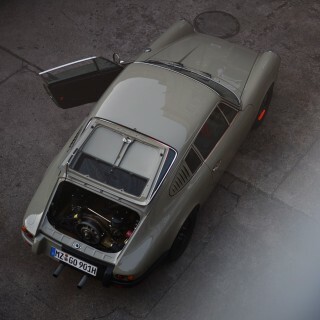 The engine was rebuilt and he tweaked the chassis. 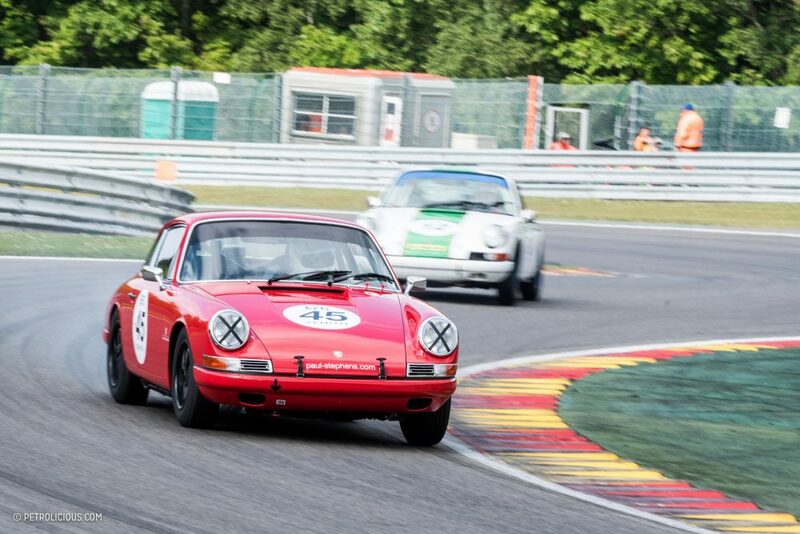 At some of the SCCA and PCA events he would handily beat the big engined Porsches with his little 2.0. 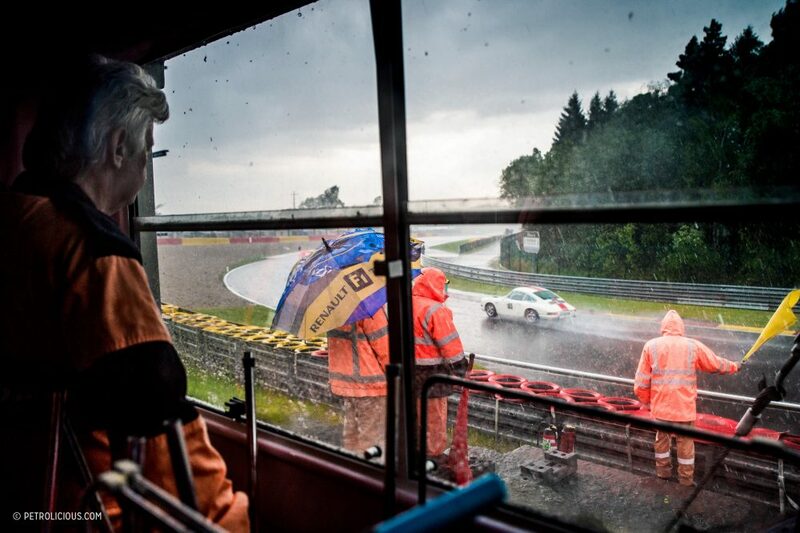 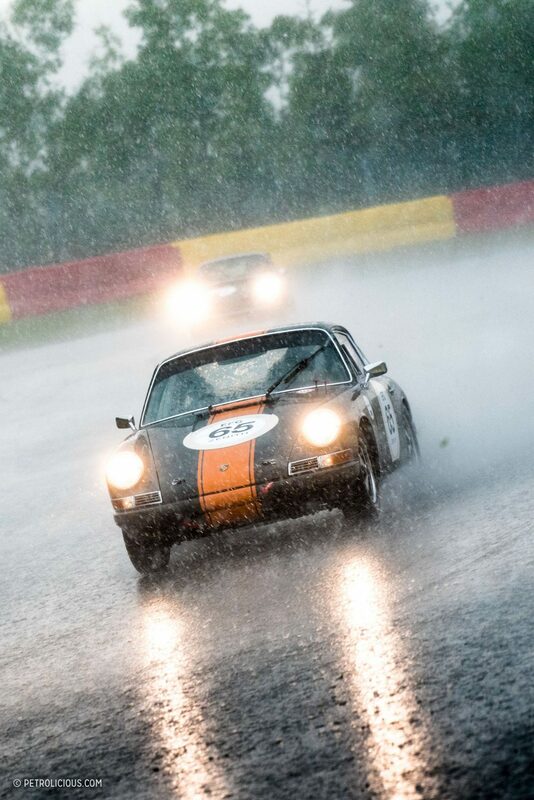 Nice photo’s – rain at Spa – who’d have guessed?